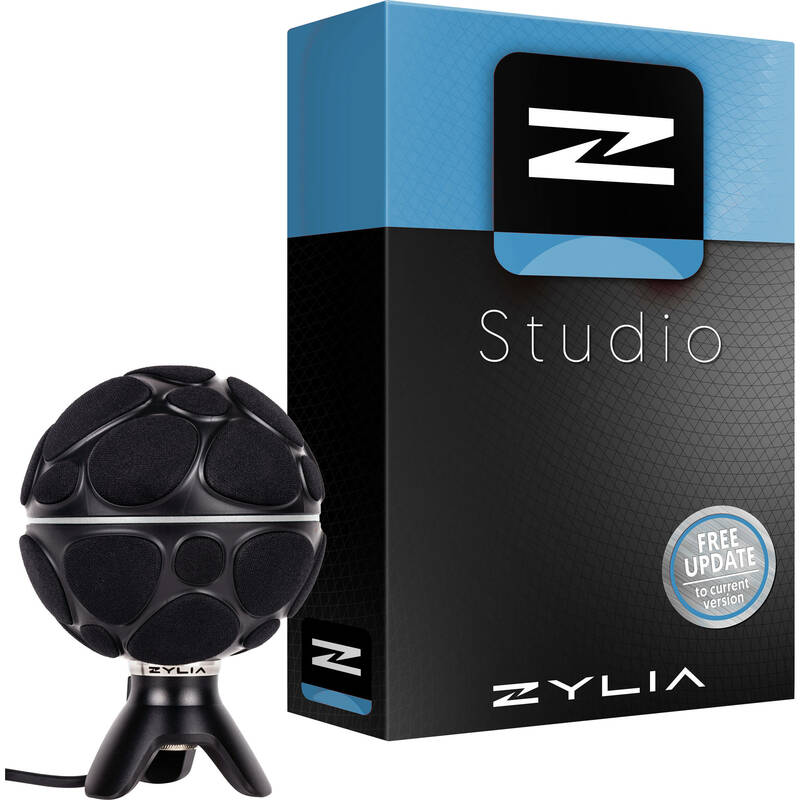 The Portable Recording Studio Kit from Zylia includes one ZM-1 microphone for multitrack music recording and Studio Software for separation of the instrument tracks. This kit can be used to: Capture audio for your live band with one mic; Separate the individual instrument tracks from your recordings; Easily mix your tracks in Zylia Studio; Or, export to a DAW. The ZM-1 microphone records audio in 360° with high spatial resolution that can be decomposed into different audio layers, sound sources, instruments, or background noises. The recorded audio tracks are processed as virtual microphones by the software and tracks can be separated and positioned in a 3D space. In post-processing, you can minipulate sound sources and ambient or room reflections. You can also identify unwanted sounds and remove them from the recording. Multitrack record your whole band with only one mic. Separate individual instrument tracks from your recordings. Easily mix your tracks in Zylia Studio or export to your DAW. Box Dimensions (LxWxH) 10.4 x 6.0 x 5.3"